Regardless of whether your healthcare organization is thriving or barely surviving, Twitter can make a major difference in your overall success. The social media platform is already helping healthcare providers share medical information, spread informative articles, and connect with patients and other medical professionals with one quick click. 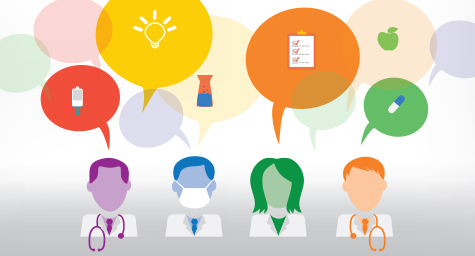 It’s giving healthcare professionals and patients a comfortable, convenient, free forum for healthcare communication. To help healthcare professionals make the most of Twitter, EnvitasGroup.com offered these four helpful tips. Hashtags (#) are a fast and easy way to communicate with numerous people about the same topic. It lets your message get shared with the public, encourages open discussion, and increases interest in your practice. But using generic hashtags won’t distinguish your healthcare organization or identify your practice, which is why you must produce and promote unique hashtags that help people recognize your business. Twitter Chats are a quick and convenient way to connect healthcare professionals with their patients and interested followers. They give medical professionals an open online forum to host informative discussions, educate the public, and interact with patients. Twitter is all about building relationships and some of the most valuable connections are with fellow healthcare professionals. Start by interacting with tweets from other healthcare experts. Then, share your own tweets with them on a daily basis by mentioning the personal or unique hashtags. This can greatly increase your practice’s awareness and reputation, as well as establish new relationships that expand your professional network. • Instant connection to a specific healthcare professional. • Fast access for your organization to all lists on a single page. • Convenient organization of Twitter Members. • Group tweets become simple to follow. By using Twitter effectively with these four savvy suggestions, a healthcare organization can easily link to new professional relationships, stronger patient bonds, and many business benefits. Check up on how Twitter is good for healthcare marketing. Contact MDG Advertising.